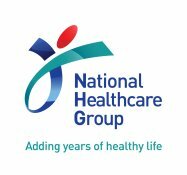 The Health for Life in Singapore (HELIOS) Study is a state-of-the-art population cohort study, established and led by Lee Kong Chian School of Medicine, in partnership with National Healthcare Group and Imperial College London. Our population study aims to identify environmental, lifestyle and genetic factors that cause heart disease, diabetes, cancer and other chronic diseases in Singapore. It was a great experience with the friendly staff! I have a better understanding of my own health! Because of this experience, I understand the importance of body check-up! This website's content is Copyright © Health for Life in Singapore. Website Designed by Elves Lab.